The loss of users by the social network giant Facebook is causing the company to invest its efforts in enhancing its current star application, of course, I am talking none other than the Instagram. However, now according to the latest reports, Instagram accidentally exposed all its users’ passwords through its data download tool. It seems that the loss of users by the social network giant Facebook is causing the company to invest its efforts in enhancing its current star application, of course, I am talking none other than the Instagram. Thus, the application would be preparing to build loyalty to all disenchanted Facebook with a determining role. However, still, the curse of flaws are not ending in the case of the social network giant Facebook and now those curses are now spreading to its other well-known services as well. As we all know very well that security flaws affect users and cause their data to be exposed and lead to greater damages. As a rule, everything arises from service failures, later which are quickly fixed. The latest security breach appears to have originated on the well-known social network platform of the social network giant Facebook, of course, I am talking about the Instagram which has exposed all its users’ data and passwords. However, the impact currently seems to have been reduced, but the breach is real. Even though they are not frequent, but the security flaws that affect Internet services and social network are really terrible. Hence, as a rule, it simply leads to the theft of user data, which is then used for other malicious activities. The most recent reported failure comes from Instagram and the security breach has been reported by Instagram itself. As it was discovered internally and also resolved immediately by the social network Instagram itself. Moreover, the well-known social network platform of the social network giant Facebook, of course, I am talking about the Instagram which has also revealed that it immediately contacted all the affected users as well. According to what is described by the social network, of course, Instagram, the problem was in the data export tool, which was presented in April of this year 2019. Hence, the problem was there only in the web version, which simply put the password in the web address of the page. In addition to this critical data breach, there was also a flaw that led to these being stored in clear on the social network giant Facebook’s servers. 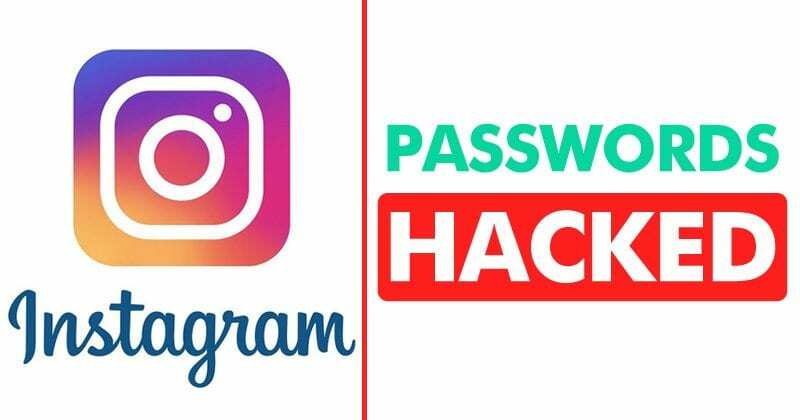 While the security experts have revealed that in this case passwords should also be stored in clear servers of Instagram. Once the crash was discovered, the team of security experts quickly managed to push the solution simply by changing the data export tool, hence, making it safer. However, the data stored on the social network giant Facebook’s servers were immediately deleted. Moreover, the well-known social network platform of the social network giant Facebook, of course, I am talking about none other than Instagram which has also asked all the affected users to change their password as a precaution and for additional security measure, they also recommended all its users to enable 2-factor authentication. So, what do you think about this? Simply share all your views and thoughts in the comment section below.